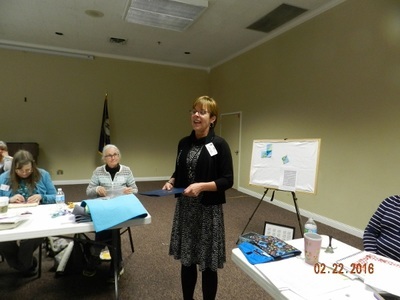 Laura Harbolt of Hosparus was our guest at the February Guild Meeting. She provided an excellent program and discussion on the services provided by Hosparus. Myths were dispelled and new information was provided. Laura stated Hosparus also has a "We Honor Vets" program. 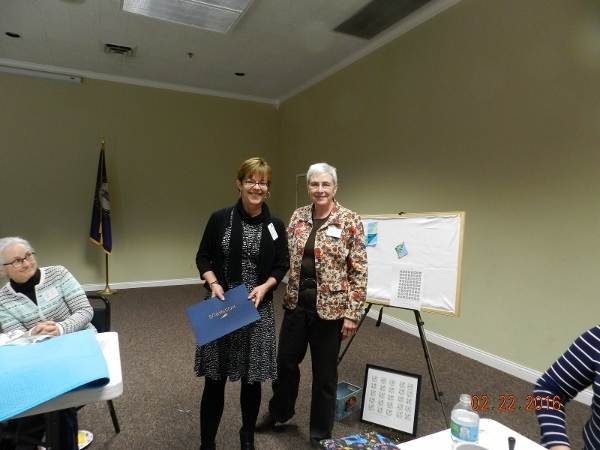 The veteran is presented a Certificate of Appreciation for their service. All our donated quilts are appreciated, but patriotic ones have special meaning when presented to one of our veterans.